Turning a fancy French dessert into a laid-back summertime snack. Before I start, I have to come clean and tell you that this is not the first time that we’ve attempted to make macarons on this blog. (For more on this disaster, see Day 41 : Week 6 of our Daily Summer Sketches). They were flat and horrible and upsetting, but overall a great learning experience for someone who has never attempted the art of macaron baking. We learned what to do, what not to do, and even invested in a kit to assist in our second attempt. After a great deal of Pinning recipes, watching YouTube videos, and reading other blogs with macaron recipes, we were finally ready to take the plunge and give these macarons another try. And boy, are we glad we did. These macarons are a collaboration with Citrus Blossom Bliss, my sister’s awesome food/lifestyle/fitness blog. 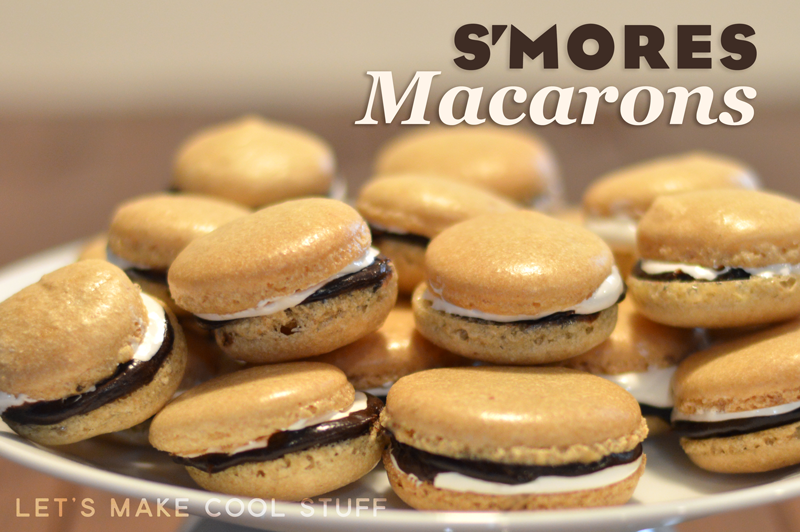 Check out her post on these S’mores Macarons here. 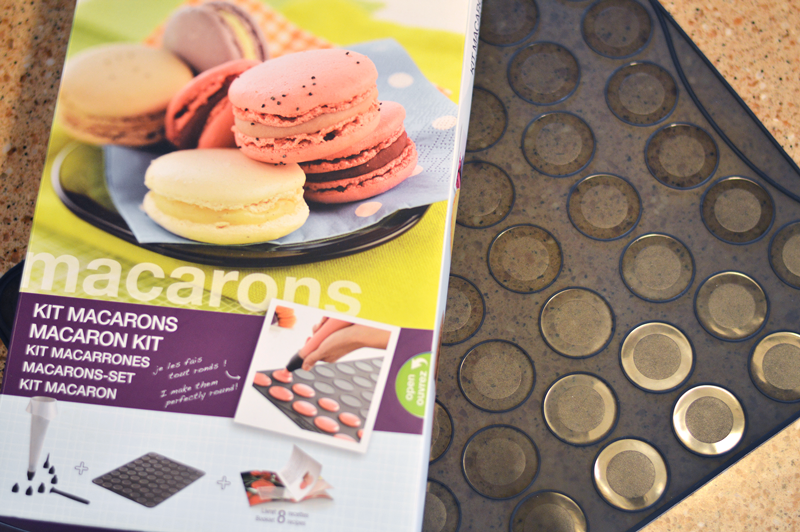 We invested in a macaron kit to help us avoid any disasters. It was actually very helpful in the long run. It came with a silicone baking mat, piping bag (with various tip sizes) and a recipe guide. Definitely worth the investment! 1. Preheat the oven to 280°F. Set aside two baking sheets covered in parchment paper (or in this case, a silicone mat). To make the process easier, we measured out all of our ingredients and placed them in these bowls like they do in cooking shows. 2. Beat the egg whites and granulated sugar with a mixer until stiff peaks form. Set aside while you proceed to the next step. 4. Gently fold the egg whites into the dry ingredients just until combined. 5. Carefully place the batter into a pastry bag with a large circular tip. 6. 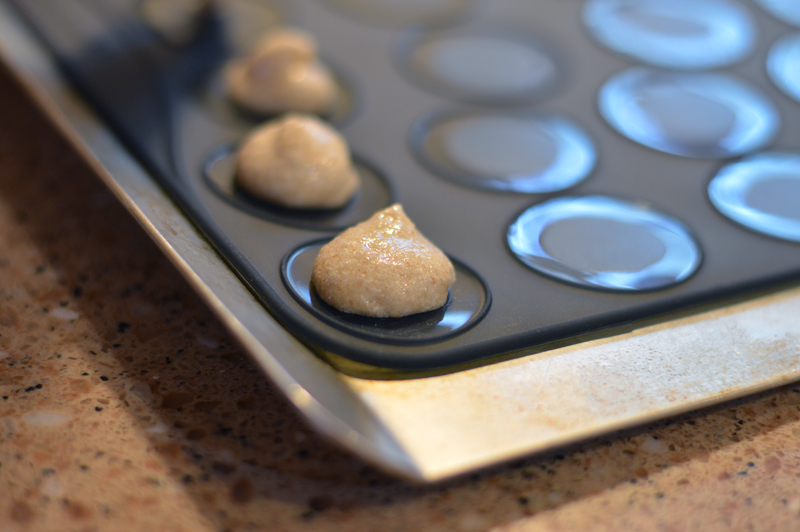 Squeeze 1½″ circles spaced 2 inches apart on a parchment paper or silicone mat covered baking sheet. Tap out the baking sheets on the counter a few times to remove any air bubbles. 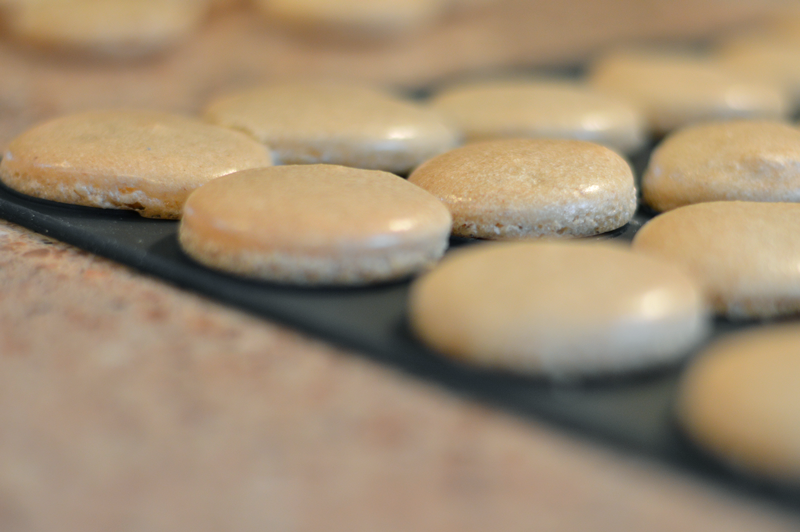 The silicone mat from the kit came in very handy in helping us keep the size of the macarons consistent. We piped the batter to fill the inner circle of the mat so that it had room to settle into the size of the larger circle. 7. Bake for 23-27 minutes until tops are hard and slightly golden brown. Allow to cool completely before removing them from the mat. 8. Pair cookies with others that are similar in size. 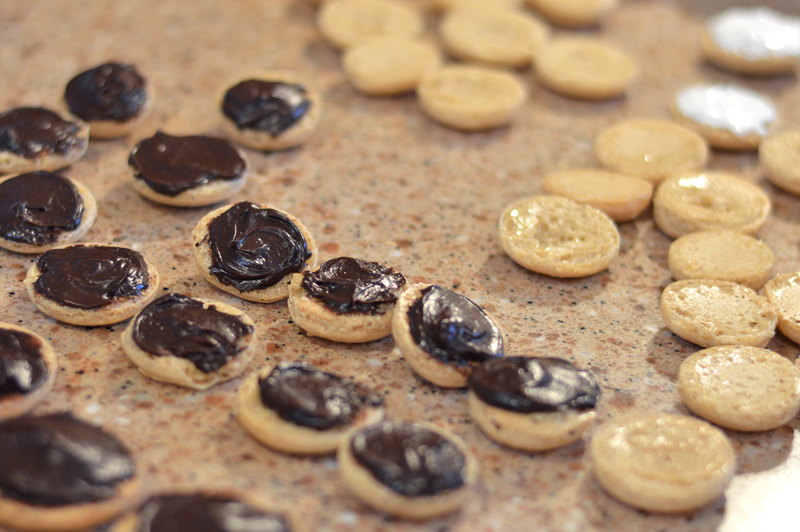 Add chocolate filling to one cookie, and marshmallow filling to the other. Sandwich the two cookies together, and enjoy! What’s your favorite macaron flavor? Let us know in the comments! Preheat the oven to 280°F. Set aside two baking sheets covered in parchment paper or a silicone mat. Beat the egg whites and granulated sugar with a mixer until stiff peaks form. Set aside while you proceed to the next step. 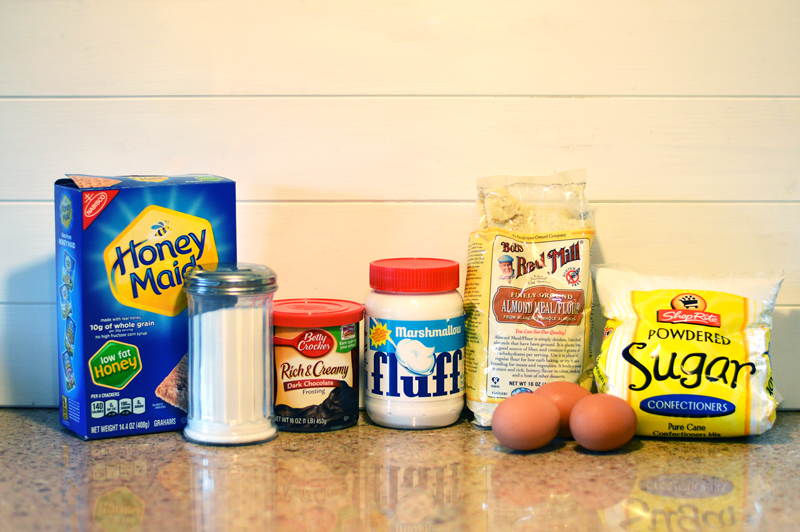 Crush graham crackers in a food processor. Sift the almond flour, crushed graham crackers and powdered sugar into a bowl. Gently fold the egg whites into the dry ingredients just until combined. Carefully place the batter into a pastry bag with a large circular tip. 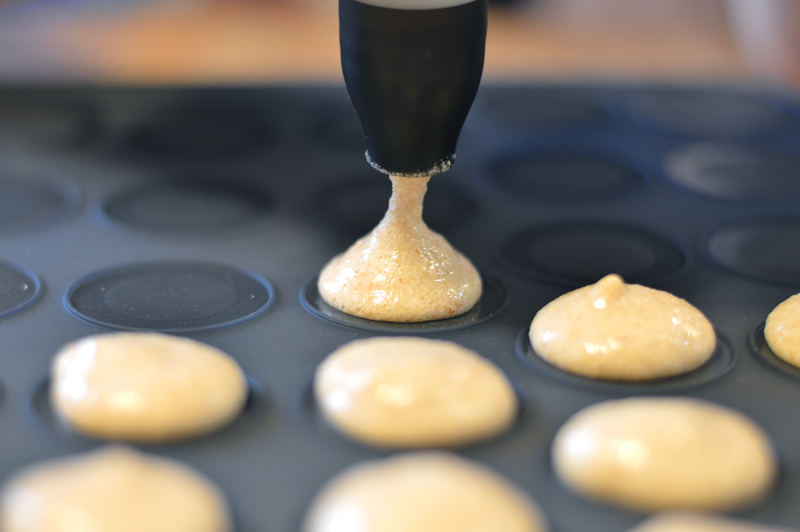 Squeeze 1½″ circles spaced 2 inches apart on a parchment paper or silicone mat covered baking sheet. Tap out the baking sheets on the counter a few times to remove any air bubbles. Bake for 23-27 minutes until tops are hard and slightly golden brown. Allow to cool completely before removing them from the mat. Pair cookies with others that are similar in size. Add chocolate filling to one cookie, and marshmallow filling to the other. Sandwich the two cookies together, and enjoy! 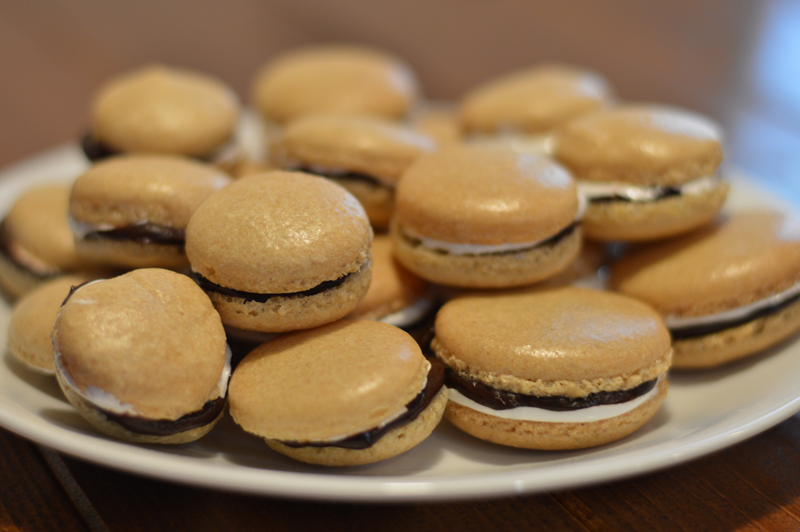 This recipe was adapted from Chocolate and Carrots, which was first adapted from Picky Palate’s Biscoff Macarons.